We continue to offer one of the best live environmental training programs in the country. If you have 5 or more persons at one location who need environmental training, we can come to your facility. 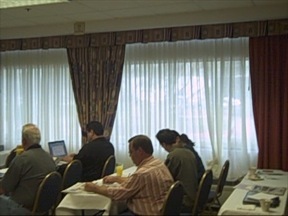 Or we can do the training via webinar regardless of the number of attendees. Webinar is an extremely effective way of training your employees. The instructor is online live with the attendees and can answer any question in real time. 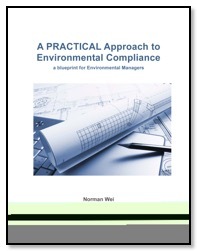 Hundreds of environmental professionals have utilized our webinar for their training needs. RCRA initial and refresher training (3-hours in duration) for employees working with hazardous wastes. This course is available on Thursdays at 1 pm eastern time. Contact us by email or call us at 360-490-6828. Read about an interview with Norman Wei who talked about how he conducts his training. The cost per person for onsite training at your facility is significantly lower than attending a public seminar. The cost can be as low as $300 per person depending on the size and duration of the class. You eliminate substantial travel and hotel costs. Your travel cost is zero if you elect to do your training via our personalized webinars. The course material can be customized to your specific training needs. We will work with you to tailor the course. The training material is much more focused to your specific needs than at a public seminar. Many of our clients send us their hazardous waste manifests, permits and emergency response plans so that we can incorporate them in the training. It is entirely up to you how much information you want to share in the training. The more you share, the more customized your training program will be for your employees. We treat all your information as proprietary and confidential material. Call us at 360-490-6828 or contact us by email.